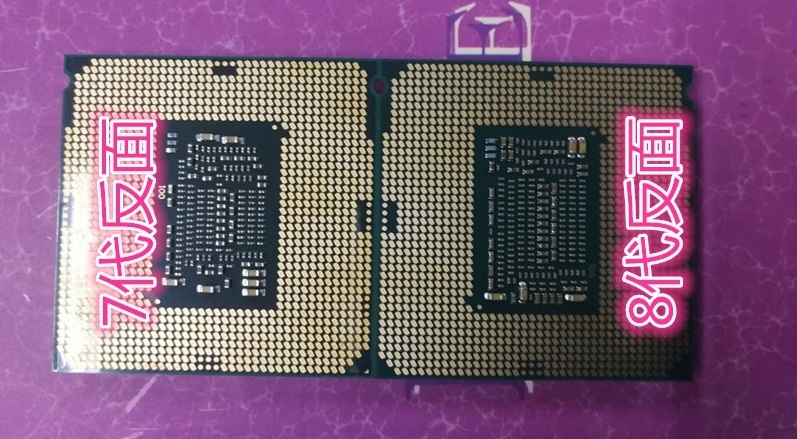 Read more on these leaked Intel's Coffee Lake CPU pictures. Yeah it is more complex it is called greed.So complex no one can be sure when he see it.The only reason i see a 6 core part to be not compatible with older mobos is power drain exceeding the power design of the older architecture.But in this case we are talking again for entire generation almost same as the previous one not being compatible with the previos architecuter mobos. Remember the Phenom II ? Both AM2+ , AM3 and AM3+ sockets compatible CPUs. yeah i can´t wait for the intel acolytes on youtube to explain to us dumbos why a Z370 was neccessary for the 8. generation. wonder if ian cutress of anandtech will finally grow some balls and call it out. and if only they changed the pin layout to have something to tell the Z270 owners why their mainboards are outdated after only 10 month. with the old 1151 socket we had grave latency issues with the modern 6 core design of our 8. generation desktop CPUs. that is why it was necessary to reallocate some pins and have some of them painted green. our efforts resulted in a 2% better IPC every intel customer can now enjoy with the brand new Z370 mainboards.